As a world-renowned photographer, company founder Cengiz Ozelsel is showing lovebirds everywhere how to set the scene for an unforgettable proposal, reports adagion.com. Having planned and photographed over 300 surprise proposals around the globe, international award-winning photographer Adagion Studio founder Cengiz Ozelsel is a leading expert on all things marriage proposals. For the first time ever, Cengiz leverages his deep insight into the proposal planning process to help serious ladies and gentlemen everywhere create a failproof roadmap to getting a “yes” from the love of their lives. “How to Propose” is the most complete publication to date on how to pop the question and has already inspired countless men and women with creative, romantic, unexpected, unique, and above all personalized ways to propose. The how-to guide covers 13 essential but easy-to-follow steps anyone can take to pull off a dream proposal their soon-to-be husband or wife will love forever, including getting a dad’s blessing, deciding on the right time and place to propose, finding a the perfect diamond engagement ring, writing a proposal speech, and even choosing an outfit for the big event. One of the most substantial sections of the entire guide helps proposers understand why it’s vital to have the event documented professionally by a photographer who can see past the surface and go beyond skin deep. As an expert on this subject, Cengiz Ozelsel shows readers how to identify, evaluate, book, and prepare with their proposal photographer so they’ll end up with pictures and videos that allow them to relive the moment time and again. Still, Cengiz goes one giant leap further by visually – with pictures and videos – showing proposal planners who have been hired to create and execute a killer proposal concept for their clients as well as guys and girls who are pulling it off by themselves how to put together the little pieces and execute a kickass game plan, including a priceless “day-of” proposal checklist. As the number one reviewed proposal photographer in the world, he has seen the best and the worst of them and wants to keep as many people as possible out of the latter category. For those who are fortunate enough to have found the one they want to be with forever, this guide could be a game-changer for their relationship. Visit https://adagion.com/how-to-propose/ to take advantage of this new guide and follow Adagion Studio on Instagram for inspiration on how to pull off the perfect proposal moment. 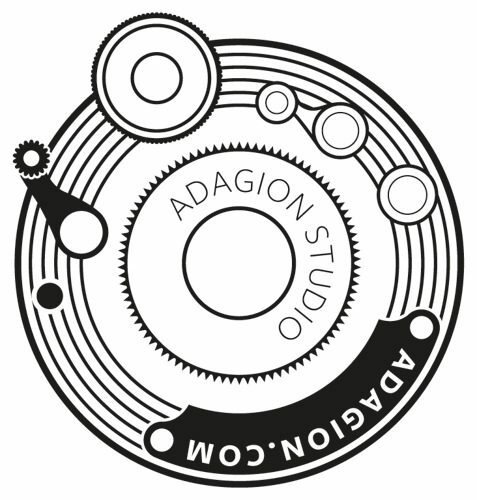 Named one of America’s Top 10 wedding photographers and broadly considered among the most influential photography studios in the industry, Adagion Studio is the premier luxury event and portrait photographer based in Paris, New York City, and Miami. Available services include luxury weddings, engagements, boudoir, and surprise marriage proposals. Quoted and featured on CNN, TIME, People, E!, Style Me Pretty, Grace Ormonde, WedLuxe, How They Asked, French Wedding Style, Tatler and a host of other authoritative publications, Adagion Studio has documented the weddings of numerous larger-than-life personalities, including German billionaire businessman, Ralph Dommermuth, Chinese actress and businesswoman, Liu Xiaoqing, and Princess Ameerah al-Taweel.